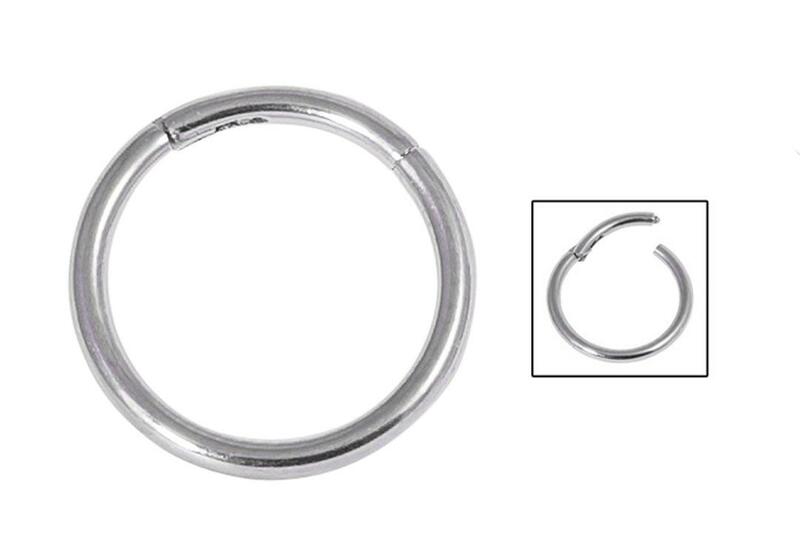 Surgical Steel Hinged Segment Ring 1.2mm & 1.6mm - These plain silver coloured surgical steel rings come in 2 gauges - 1.2mm & 1.6mm. 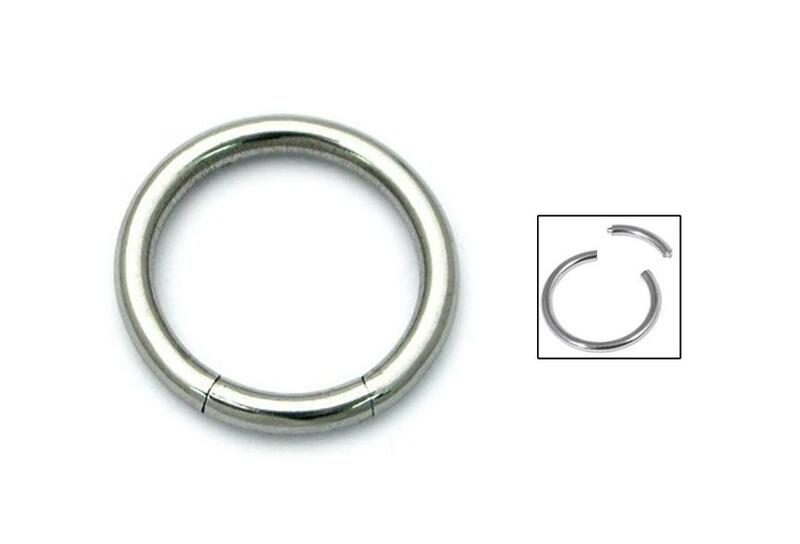 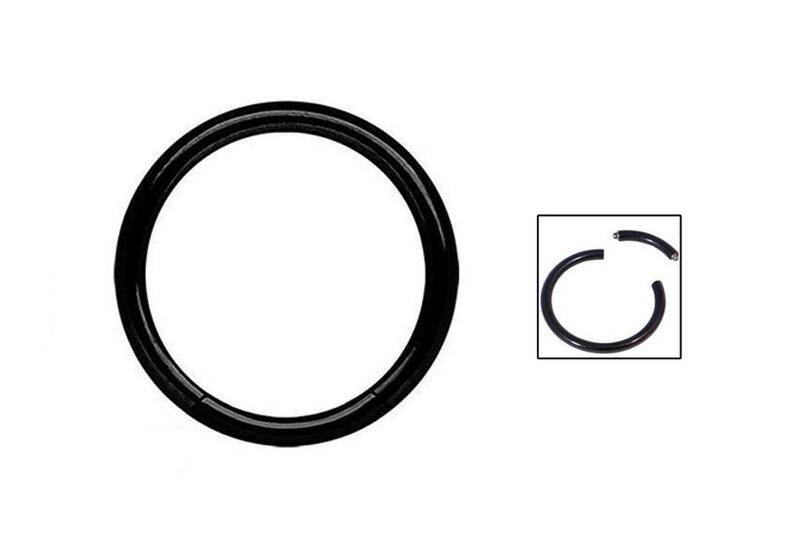 Similar to the Smooth Segment rings, however the segment is hinged allowing easy fastening - no more fiddly sections to lose. 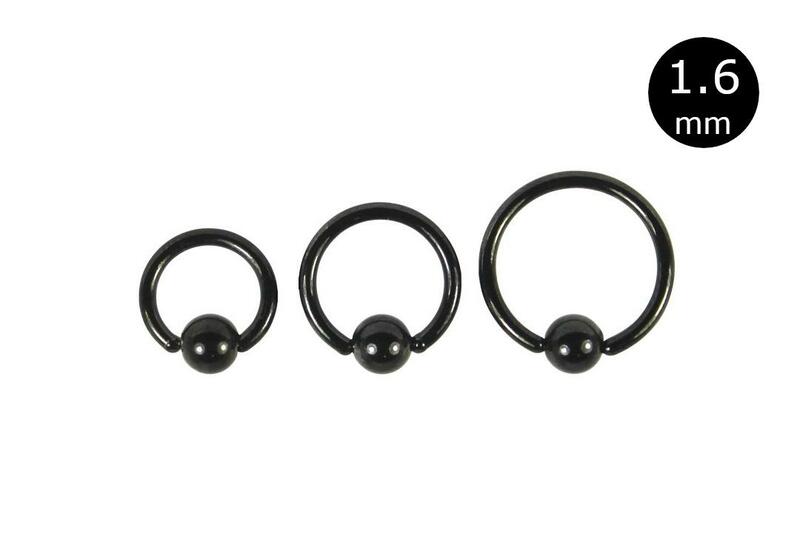 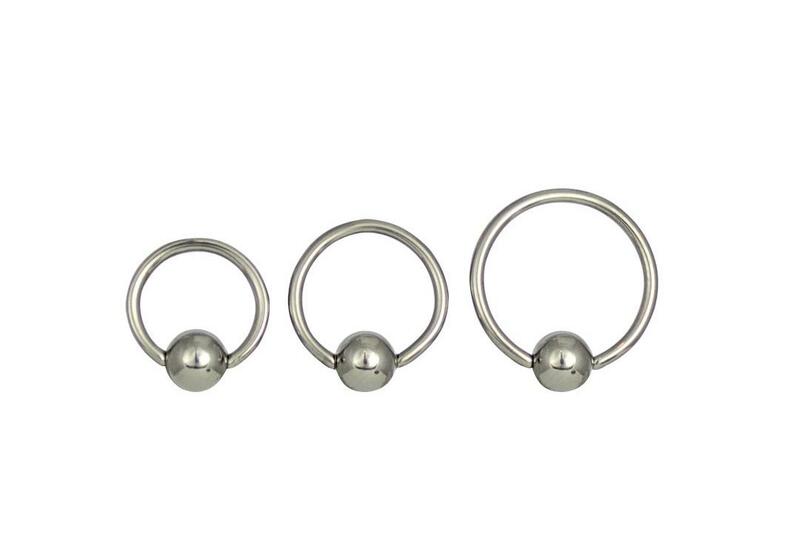 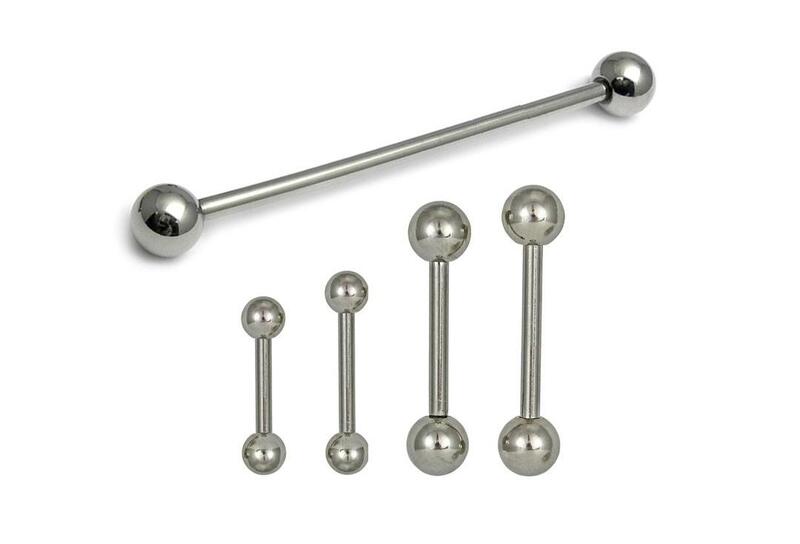 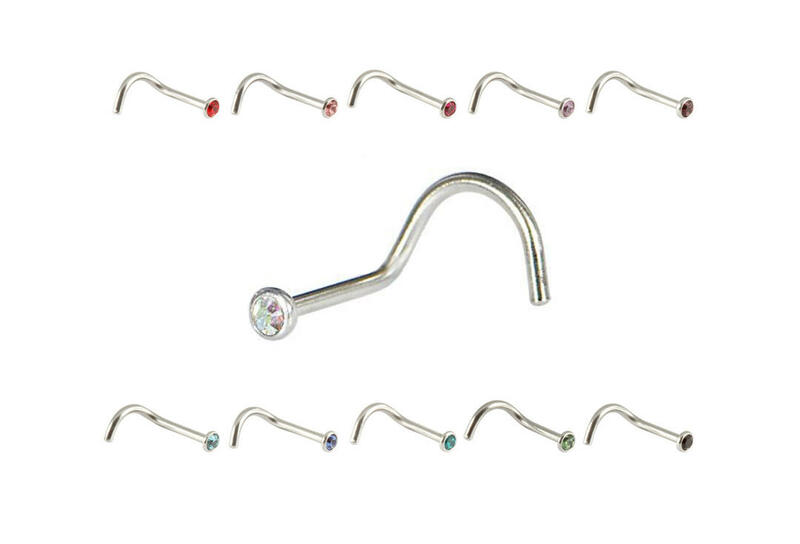 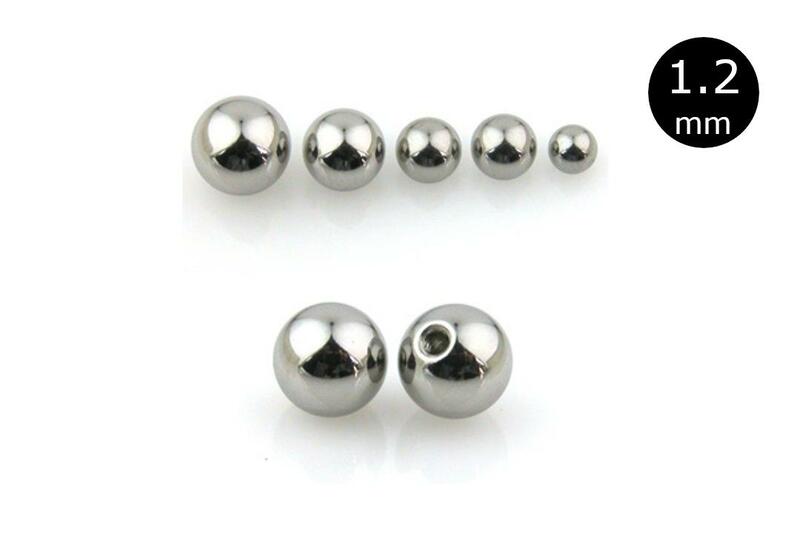 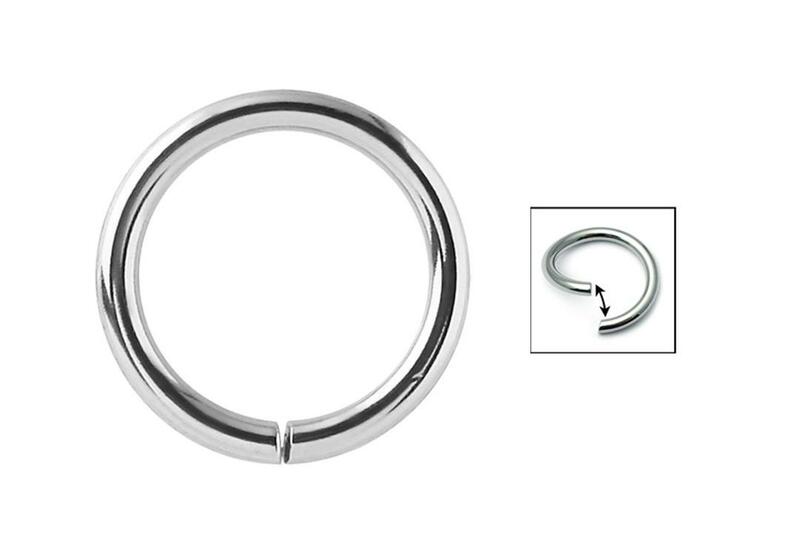 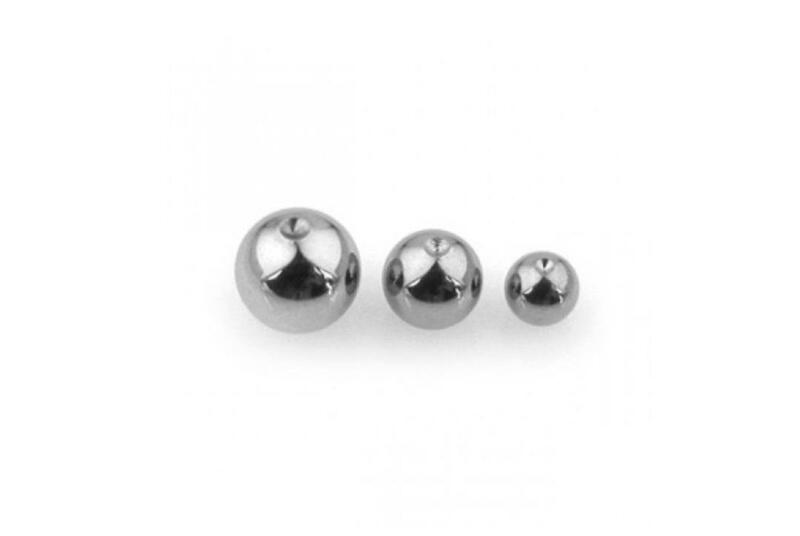 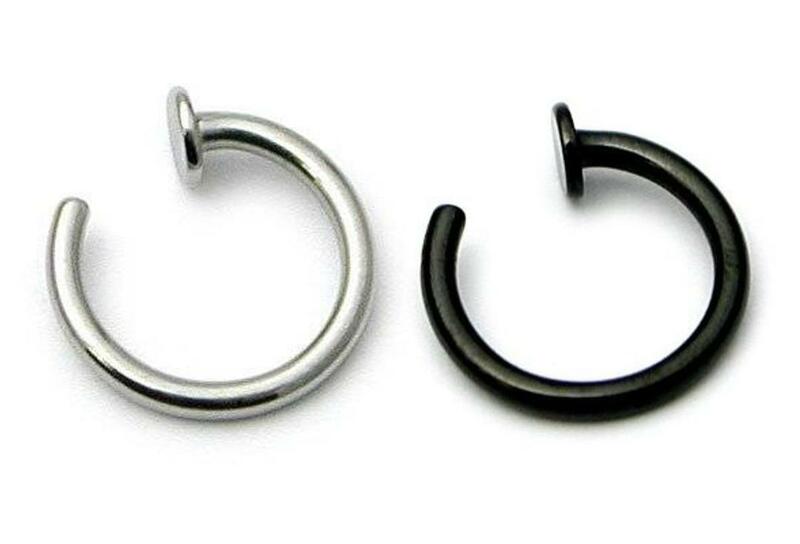 Comfortable to wear with no ball to get in the way, these fantastic rings are suitable for most piercings. 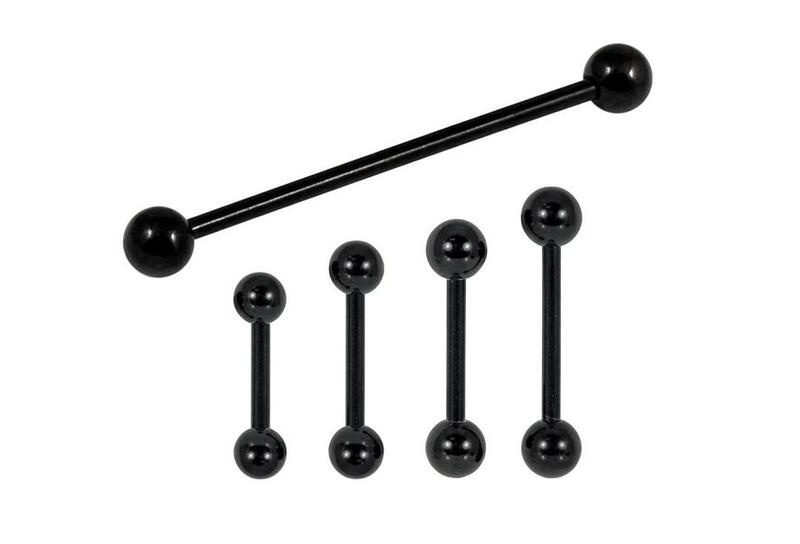 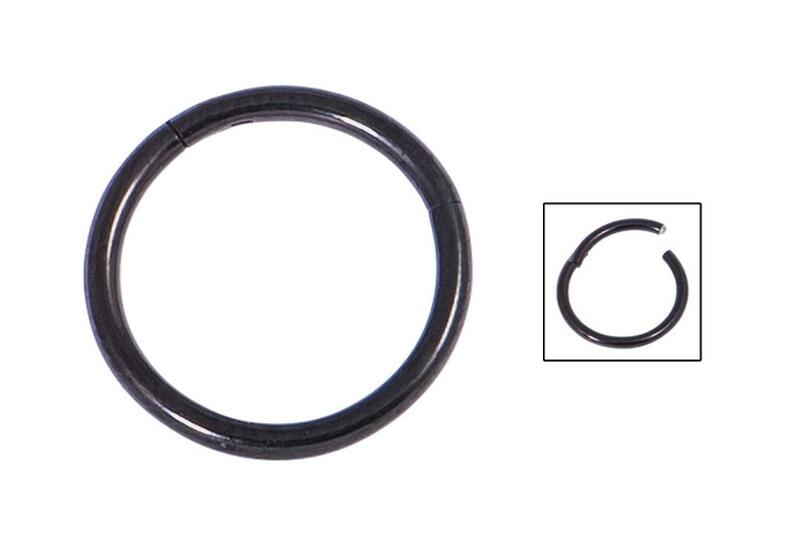 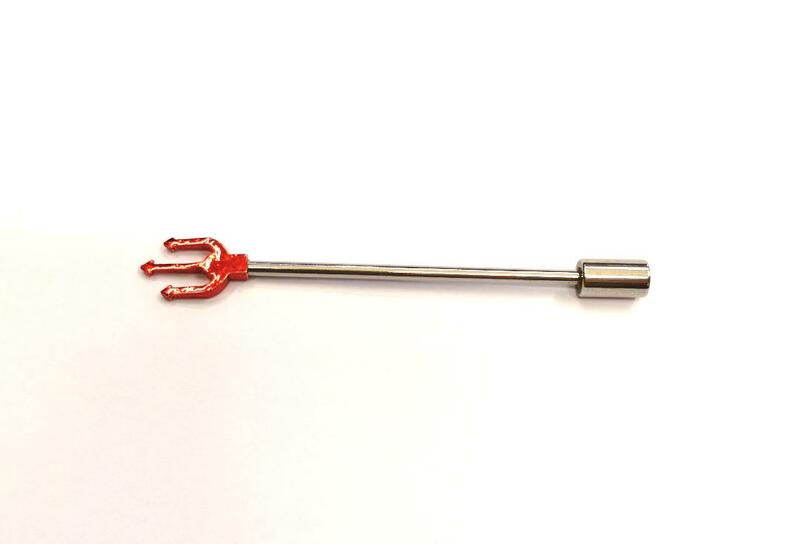 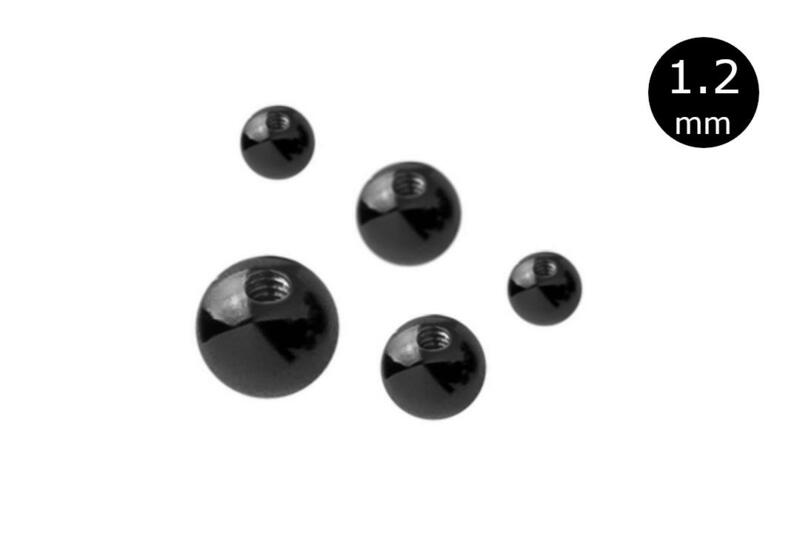 Also available in black PVD coated surgical steel.